Life with a dog that barks excessively can be very stressful for both family and neighbours and, sometimes, for the dog too. The good news is that all noisy dogs can learn to be quiet, even those with long established habits. To stop dogs barking, you first need to find out why they do it. 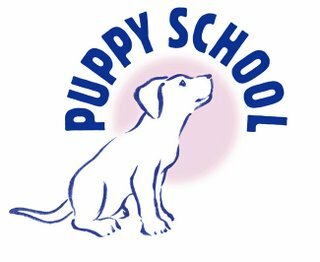 Then, by changing the dog’s circumstances or teaching them an alternative way to cope, you can take away the need to bark by replacing it with the desire to perform a different, quiet behaviour. 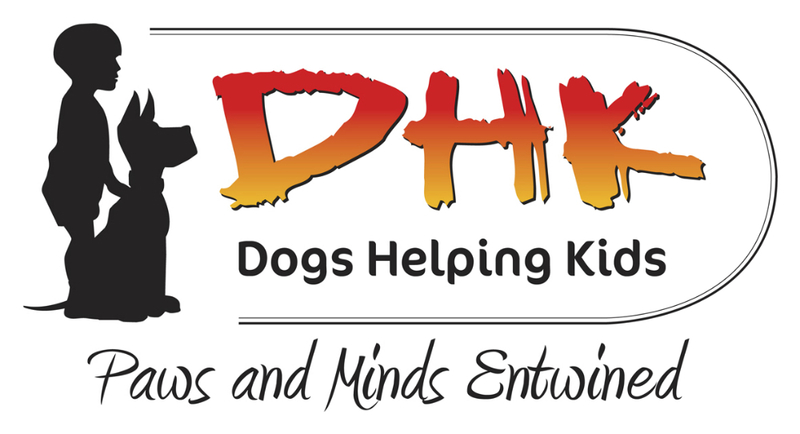 Dogs bark to communicate or to reassure themselves. Just like us, they make a noise when excited, angry, frightened, frustrated, anxious, lonely or want something. The secret to stopping the barking is to find out why they do it or what they want and do something about it. A contented dog is a quiet dog. 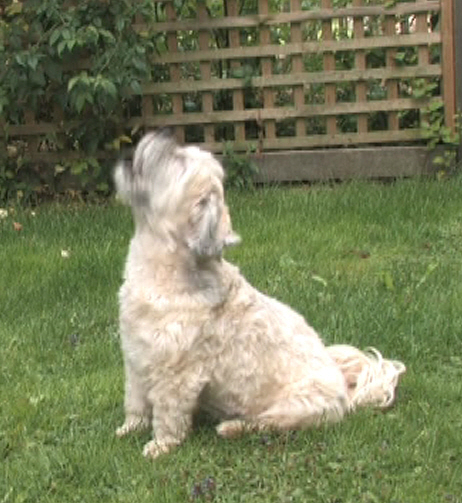 View the following videos to help you decide why your dog barks. Does your dog's barking match any of the patterns of barking shown here, or is your dog's barking nothing like any of these? 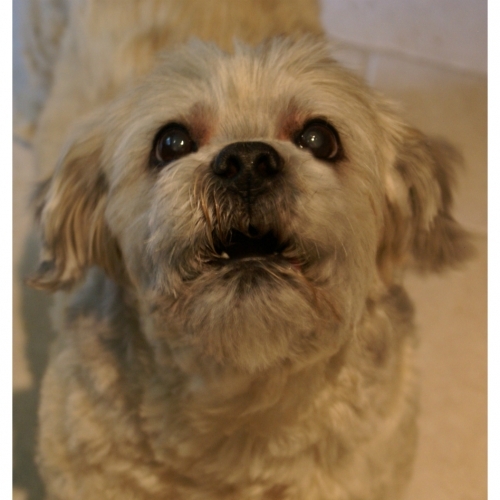 Who or what is your dog looking at when barking? What makes it worse and better? Much depends on why the dog is barking in the first place. Excited dogs need more stimulation and more things to do that are incompatible with barking, and may need a job to do that doesn’t involve barking at imaginary intruders all day. Annoyed or frustrated dogs need to learn they cannot always have things their own way but must wait for things they want. Dogs that bark to get attention sometimes need more attention but also need to know that attention comes when the owner wants to give it rather than when they demand it. 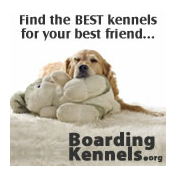 Dogs that get anxious need help to deal with fears, and those that are lonely when left need to learn to cope alone. Dogs that bark to try to keep away a threat either need more to do or to feel less threatened. Once you’ve solved the problem for your dog and given him a more contented life, you will also need to break the barking habit by finding alternative activities for him to do at times when he would previously have barked. 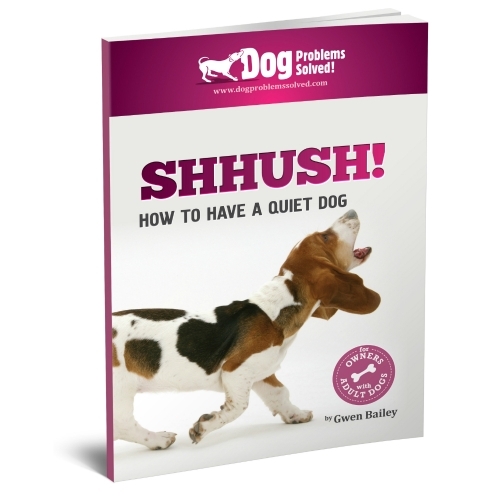 Please note: for dogs that bark excessively only when alone, go to 'Separation Problems' as this problem is not covered in the ebook. Please note: old dogs that suddenly begin to bark without cause, particularly at night, may need veterinary attention. Please contact your vet.